While most of the media are fixated on Benghazi, the IRS abuses, and the DOJ’s interest in reporters’ phone calls, the biggest scandal of all may be Kathleen Sebelius’ shakedown of health care companies to pay for activities Congress has refused to fund. It is illegal for government officials to solicit money from companies they regulate. Before Mr. Obama was elected in 2008, you may remember that the pharmaceutical industry was the Democrats’ favorite whipping boy. 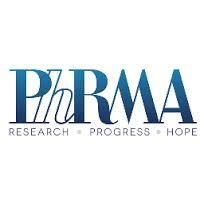 But, in one of the most amazing turnabouts ever in Washington, PhRMA went from full-throated opposition to ObamaCare to full-throated support ― in just a matter of months. Apparently, PhRMA agreed to $80 billion in cuts aimed at filling the Medicare drug program’s “donut hole” and to spend $150 million in advertising to support Obama in exchange for a pledge that the White House would oppose price controls and re-importing drugs. And we haven’t heard a word of criticism of the pharmaceutical industry since then. This time around it is the insurance industry that is being asked for favors ― to donate to Secretary Sibelius’ favorite “charity.” This is the very industry she directly or indirectly regulates. The Ways and Means Committee is pretty concerned about this latest scam. It wrote a letter to the secretary which reminds her of the federal Anti-Deficiency Act. The letter goes on to demand answers to a series of questions about who exactly was solicited, by whom, and for what. Looks bad for the secretary.